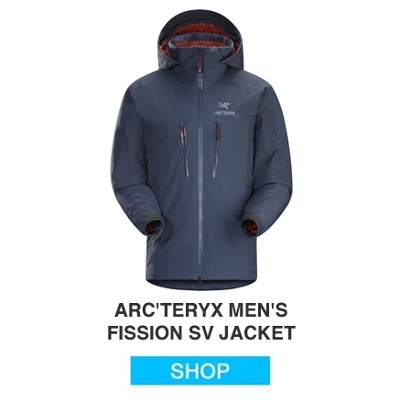 One of the new brands featured on our website this year, Arc’teryx supplies some of the highest quality gear out there, and this Fission SV Jacket is no exception. If you’re looking for something that can keep up with you on the slopes, this is the jacket for you. Featuring Goretex™ waterproof technology, this jacket is seam-sealed, ultralight, and super compressible. 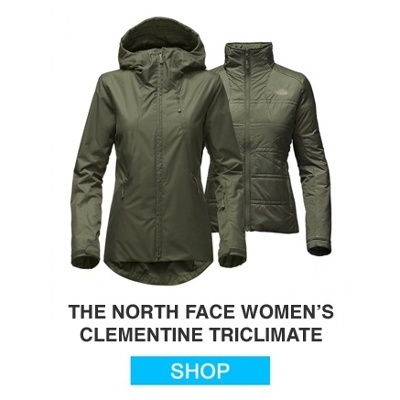 For complete versatility, warmth, and waterproof capabilities, the Clementine Triclimate is your best option for women’s snow sports. Featuring TNFs DryVent™ technology, this winter jacket will keep out snow, rain, slush, or whatever you get yourself into on the slopes. The best part is that it’s still breathable, ensuring you don’t get soggy while you’re out on the ski hill. Since this is a 3-in-1, you can always zip out the Heatseeker™ insulating layer if you get too warm, or you can take off the outer shell if you’re not worried about getting wet. Made for extreme snowsports, the Clementine sports a fully seam-sealed design, an adjustable, removable hood, and even a handy wrist pocket with a detachable goggle cloth. If you’re looking for your next ski jacket, the Clementine is our favorite functional-yet-fashionable option this year. Intensely lightweight, the Nano Puff® is Patagonia’s number one synthetic insulating jacket. It’s wind blocking and water resistant, making it a great all around jacket, and even better as an insulation layer in your alpine layering system. 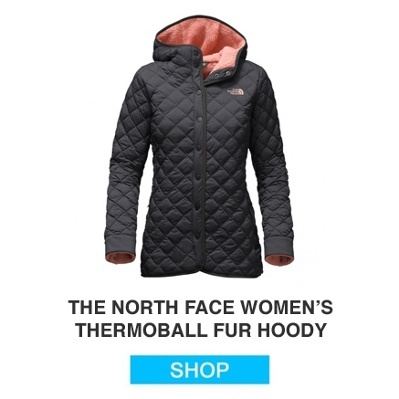 The bonus of the Nano Puff® technology is that you get warmth comparable to down insulation, but it’s still warm when wet, and offers a sleeker fit. 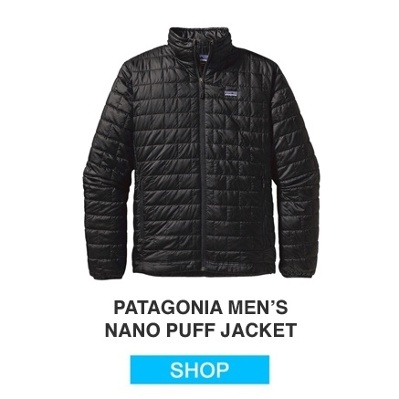 The Patagonia Nano Puff® looks great on, without sacrificing warmth or quality. We went with another TNF jacket for this category this year for one reason: TNF really outdid themselves this year. They combined their world-class Thermoball™ puff with both Sherpa fleece and raschel faux-fur. Now, not only do you have top-of-the-line insulation – warm even when wet – but it’s been combined with buttery soft sherpa fleece and a stylish form fit. 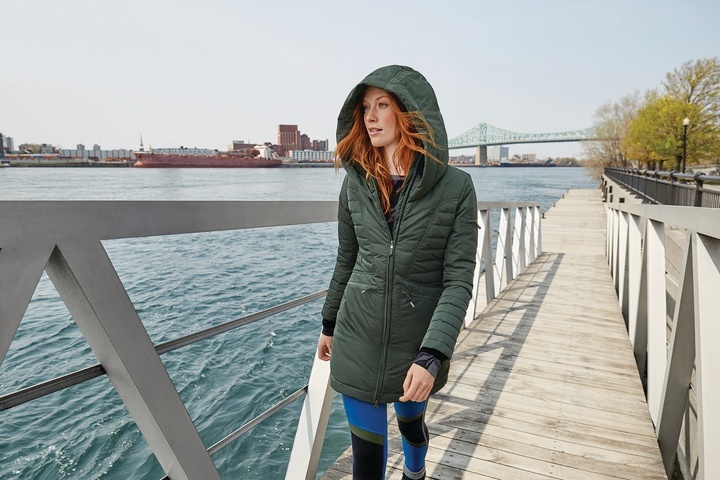 A longer shape and full hood keep you nice and toasty no matter what you’re doing. And if you’re really cold? 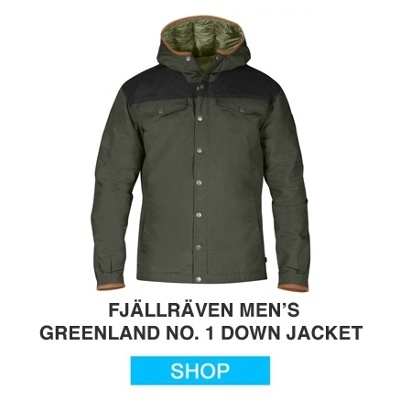 This jacket makes a perfect insulation layer under a technical outer shell. Whether you’re going on a winter hike, or you’re taking the kids sledding, this jacket is certain to keep you warm. As the name suggests, Mountain Hardwear’s Old Faithful will take you just about anywhere you go. Heavy enough to keep you warm walking to the store, and light enough to make sure you don’t overheat once you get inside, this is your wear-everywhere jacket this winter. With its stylish, athletic fit, the Old Faithful looks great over a hoodie or your work clothes. If you need to layer it under a hardshell, it’ll keep you warm and protected from the wind, and if you just have to run out to the mailbox, this is your perfect throw-on option. 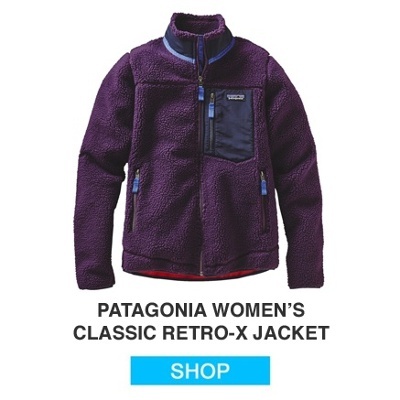 One of Patagonia’s well-loved favorites, this Classic Retro-X Jacket has been around forever for a reason. 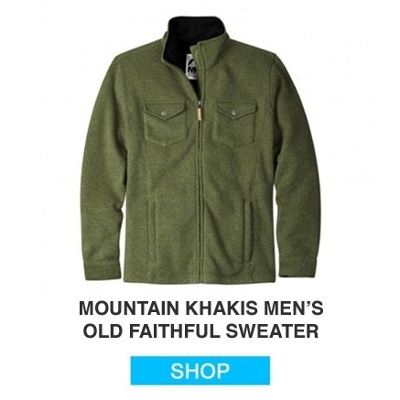 Its comfortable style and high-pile fleece keep you toasty warm by sealing out chilly gusts of wind. Another bonus, the Classic Retro-X has been updated for women this year with a feminine shape and new colors. Hip-length and toasty warm, this is the perfect everyday mid-layer option. And if it gets really chilly, you can always throw on an outer shell for added protection and warmth. The only reason this jacket from Fjällräven is in the “walking the dog” category is that it might just be too warm for winter sports. It’s seriously that warm. Wind and water resistant, the durable outer with leather detailing ensures your jacket lasts as long as it should. Lightweight insulation full of only the highest quality down keeps you ridiculously warm, no matter how cold it is outside. This jacket is perfect for taking the dog on very long walks, shoveling, or even snowblowing the driveway in below zero temps. If you haven’t looked into the Fjällräven product line yet, you’re missing out. Earth’s Edge just recently added Arc’teryx to our online lineup, and we’re so happy we did. A top competitor with exceptional technology in the class of Patagonia and the North Face, you’ll be satisfied with any Arc’teryx product you look at. 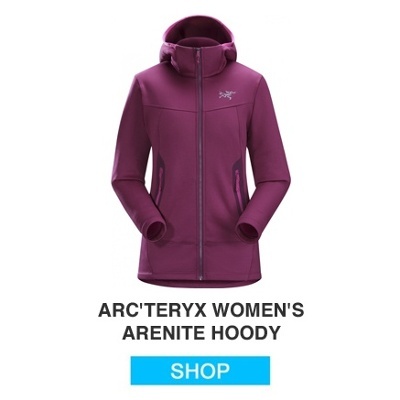 The Arenite Hoody, designed specifically for women, combines Arc’teryx’s warmest moisture-wicking Cobblecomb™ fleece and a durable twill textured face. Its construction makes it the perfect mid-layer for those cold, dry winter days where you need something to keep you warm while you’re running a few errands. If the weather gets a little colder, and you want to incorporate this hoody into your layering system for hiking or other snowsports, that’s totally doable. The form-fitting design and adjustable hood ensure you can wear your helmet and outer shell right over this layer, keeping you nice and toasty on the slopes. Thanks! You should receive the guide soon!